Today’s Cornwall Dental Arts blog post focuses on three dental-related myths prevalent in the Cornwall area. We all know that sugar increases our risk of tooth decay, but some types are worse than others. Sugar-based foods that sit on the teeth are more dangerous than those that are swallowed immediately. For example, sipping a soda or sucking on a mint can be worse than eating a candy bar all at once. Healthy primary teeth serve several important purposes. They allow the child to eat and speak properly. They retain proper spacing of teeth. A healthy smile instills confidence and self-esteem. Healthy baby teeth eliminate the pain of decay which disrupts normal daily activity. 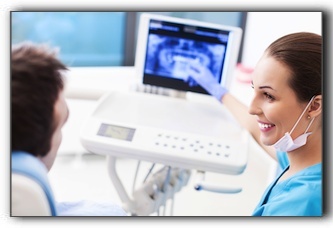 At Cornwall Dental Arts, we provide accurate answers to all of your dental questions. If you are interested in family dentistry, 6-Month Smiles or fillings, call us today to schedule an appointment.